Description Transform gathers to / from the F-K domain. This process performs a forward or reverse F-K transform, where F is the frequency and K is the wave-number. 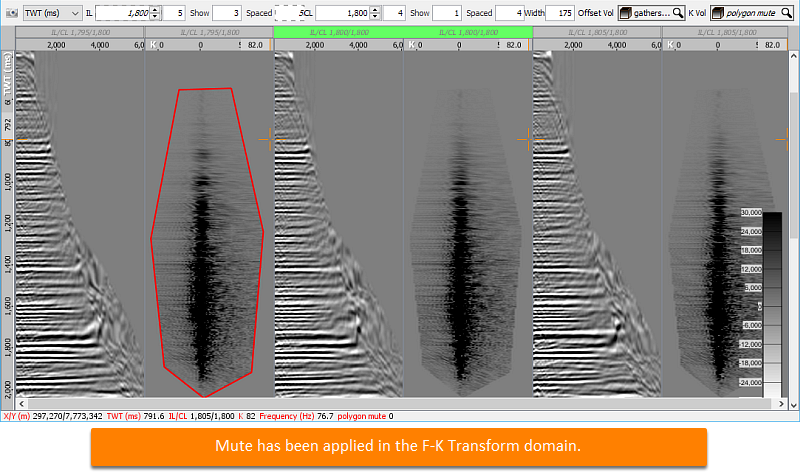 The F-K domain can separate several noise types, such as ground roll or seismic interference. 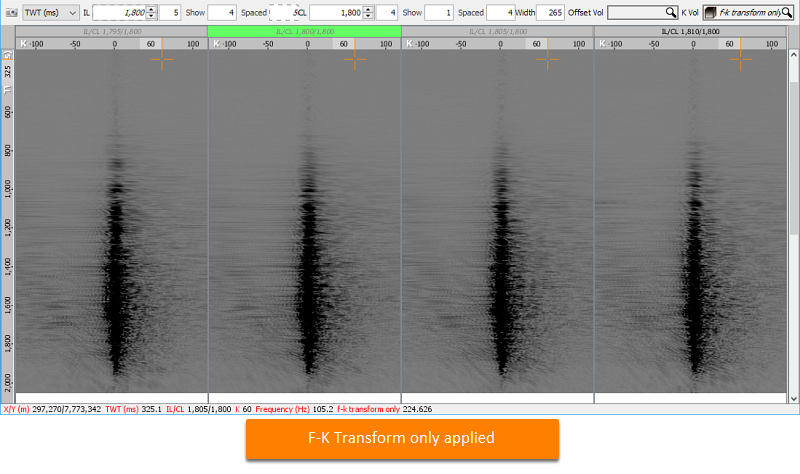 Use the F-K transform in conjunction with the Polygon Mute process. 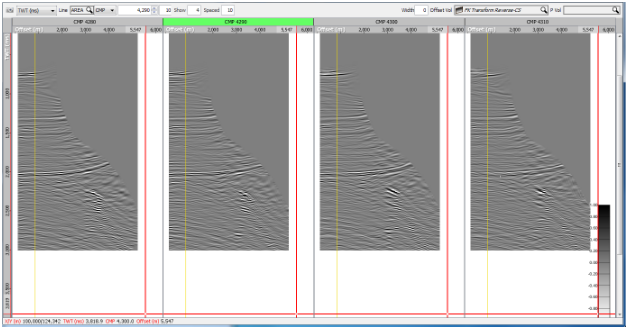 First, decompose the input into a series of dipping lines in F-K space, then suppress the noise by muting. A forward F-K transform creates two "k" domain gather volumes: amplitude and phase. Output records begin at 0 ms TWT, and will be at least as long as the input data. MUTE, MUTS - Temporary storage when in K space; the original values of these headers will not be preserved through a forward/reverse transform. By default, this process will perform a forward F-K transform. Select the Reverse check box to perform a reverse F-K transform. 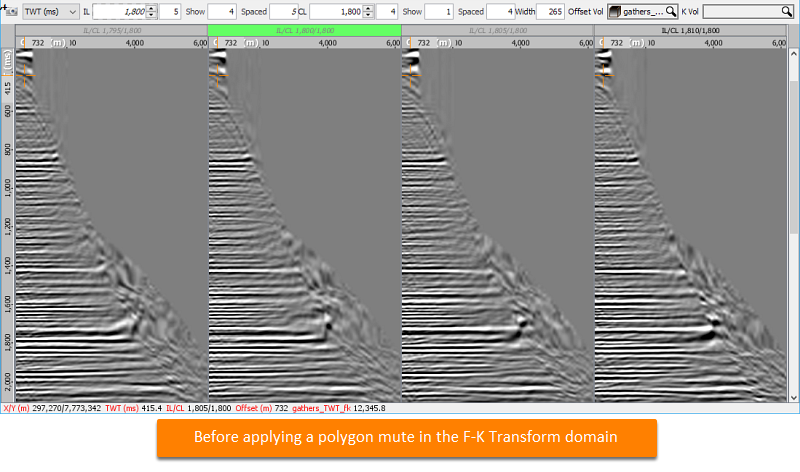 The F-K Transform process works in conjunction with the polygon mute process (see Polygon Mute). 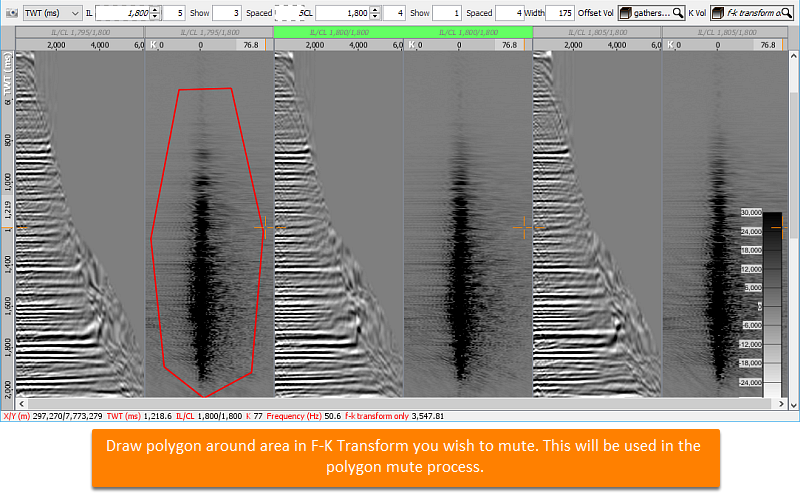 Create a Polygon Mute process (see Polygon Mute) and add new F-K Transform mute (orange polygon). 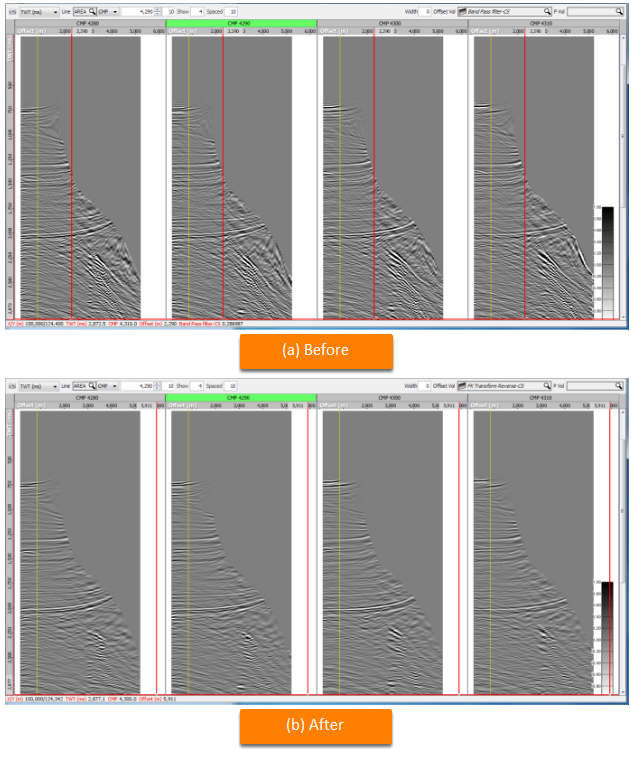 Now back-off the F-K Transform and look at the data with polygon mute applied in F-K domain. Create a F-K Transform process and select reverse.